So I read an article from the Huffington post in regards to the case of Howard Morgan, a black police officer(Detective) who was shot 28 times after being pulled over by four white officers in Burlington Illinois outside of Chicago. Morgan was driving the wrong way down a one way street while working off duty as a detective for a local railroad when he was pulled over by four white in which a reported altercation ensued where Morgan allegedly opened fired his weapon wen officers tried to arrest him which resulted in the four officers shooting him 28 times. Morgan strangely survived the hail of gun fire, BUT he was brought on several different charges including attempted murder of the four white officer that arrested him. Morgan went to trial and was found not guilty on some of the lesser charges against him, yet he is still up for trial on the charges of attempted murder. There is also clear instances of blatant evidence tampering on the part of the Chicago Police department which is unfortunate because the evidence could have possibly shed more light on to hat really happened and maybe prove Morgan’s innocence. Morgan goes to trial later this year and could face up to 80 years in prison if found guilty. This case blew me away because this is a case of of Cop on Cop violence that to me is another clear case of racial prejudice and assault. It’s hard to really put this case into words because it’s just way to many variables, but one questions stands out to me…how do you shot a cop 28 times and then bring him up on attempted murder charges??? It’s hard to understand this world sometimes and this country we call America but WOOOOOOOW COME ON DUDE!!! Below is a link to the article written in the Huffington post providing more details about the case. 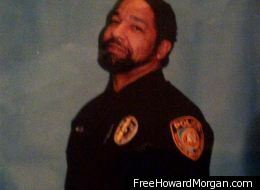 And sign the petition on change.org to drop the charges on Howard Morgan.